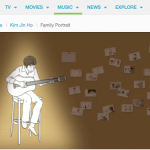 As K-Pop has various facetts, we want to point out to a more touching topic this time and introduce the singer Kim Jin Ho and his nice ballad. The singer was on of the members of SG Wannabe – a South Korean ballad trio that debuted in 2004 – who released his own singles. One of these was a song called “family portrait”. 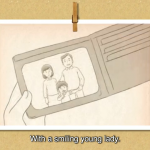 Accompanied with this was a brilliant music video that was entirely animated to tell the story of his childhood. The song is impressively beautiful, a ballad like no other; however combined with the video it makes for an emotional ride. 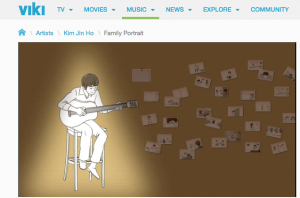 The song is very simple, and much attention is drawn to Jin Ho’s captivating voice alongside a simple acoustic guitar. The song gradually builds as the singer becomes part of the story he is telling. 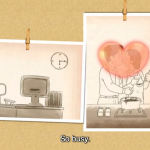 Along with the music video it makes for a rather tearful experience. 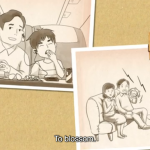 The music video tells of normal Korean family through small snapshots like photographs. “Yet on that day the excited laughter would fade” a bitter-sweet line which describes the death of his father. The rest of the video shows how he and his mother tried to cope with this loss and one interesting scene was at the graveside where they had a letter box. They would write to him and place these in the box, a touching moment of the song came when, as an adult, he opened this box only to see hundreds of these unopened letters. 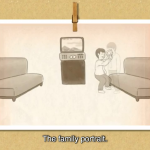 Another emotional moment came nearer the end as each white drawing (which represented photographs) showed small snippets of his childhood with his father and mother. 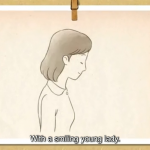 He also shows an understanding of his mothers grief through the hope that her “flower-like smile will blossom”. He repeats throughout the end of the song as a sign that they are both getting better and blossoming out of the pain that they have both been through. 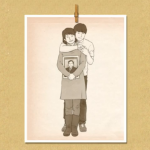 The final shot in the video shows a genuine photograph of the singer and his mother with their fathers portrait and painful reminder of the truth of the song. Although this is a short description there was so much more encompassed in this enchanting video. The small drawings gave very accurate pictures of what his family life was like and small touches like the three pairs of shoes still waiting at the front door gave it a very human and raw feel. The song was beautiful, as was his voice. Combined with such a sad story it can give way to tears. In fact the aura of this video perhaps gives hope that even when love ones do die we can blossom again.